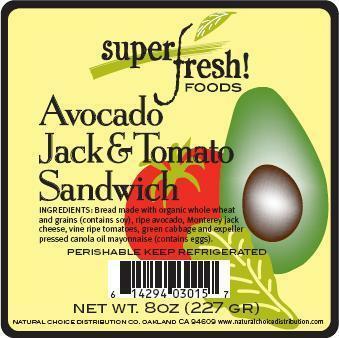 Pacific American Fish Co, Inc. of Vernon, California, is recalling SHI306 Shishamo 4L 5PC (23-28G) Wild, Pack 4/20TR, Lots 202885-2 & 201011-3, Master Carton information. Based on an FDA Import Alert, this type of processing and size of product has the potential to be contaminated with Clostridium botulinum, a bacterium which can cause food borne illness. Consumers are warned not to use the product even if it does not appear to be spoiled. Common symptoms of C. botulinum may be difficulty in breathing, weakness of other muscles, abdominal distension and constipation. C. botulinum can also cause the further symptoms if Shishamo was not properly cooked at recommended temperatures and consumed in large quantities. Those with compromised immune systems, the elderly and children have a higher risk and could possibly experience general weakness, dizziness, double vision and trouble speaking or swallowing. People experiencing these problems should seek immediate medical attention. The product was distributed in California, Kansas, Hawaii, Washington, New York and Texas via retail stores. Shishamo Roe Capelin in retail packages can be identified as 5 pieces of frozen fish packaged in a Styrofoam plate, wrapped in plastic. Label reads Pacific American Fish Co, Roe Capelin, and says Shishamo in Japanese script. Should you have any Pacific American Fish Co. Shishamo Roe Capelin, please return it to the place of purchase for a full refund. Consumers may contact the company at (323) 319-1503, Monday - Friday, 8:00 AM-5:00 PM PST for additional information. Martin’s Famous Pastry Shoppe, Inc. of Chambersburg, PA, is recalling the packages of chips listed below because they may contain undeclared soy protein. People who have an allergy or severe sensitivities to soy protein run the risk of serious or life-threatening allergic reaction, if they consume these products. The recalled chips were distributed to retail stores, club stores and institutional/restaurant accounts in addition to mail order accounts throughout Alabama, Connecticut, District of Columbia, Delaware, Florida, Georgia, Massachusetts, Maryland, North Carolina, New Hampshire, New Jersey, New York, Pennsylvania, Rhode Island, South Carolina, Virginia, and West Virginia. The product comes in various sized bag and boxed packages marked with sell by dates from February 9, 2011 through March 30, 2011. No confirmed illnesses have been reported to date in connection with this problem. This recall was initiated due to unintended trace amounts of flavorings containing soy protein coming in contact with our normal spice flavorings during production. Therefore, the above listed products may contain ingredients that include soy protein allergens. Product packaging does not identify soy protein on the labeling. Production of the product was suspended until the area in which the seasoning was being utilized could be sanitized. This concern was also addressed by the removal of products from retail outlets that did not state the allergen on the label. Consumers who have purchased the products listed above are urged to return them to the place of purchase for a full refund. Questions should be directed to the company at 1-800-548-1200. Pier 1 Imports is recalling about 400,000 golden tea lights sold in the United States and Canada. The flame from the tea lights can burn with a high flame, posing a fire hazard. The firm has received four reports of high flames. In one of these incidents, the consumer suffered a minor burn. This recall involves all tea lights in golden tin cups sold in sets of five with either the Red Ornament Tea Light Holder (SKU 2473959) or the White Ornament Tea Light Holder (SKU 2473961). The SKU number is found on the packaging. Pier 1 Imports stores sold the tea lights from September 2010 through January 2011 for between $2 and $8. They were made in China. Consumers should immediately stop using the recalled tea lights and return them to their nearest Pier 1 Imports store to receive new tea lights. Biotab Nutraceuticals, Inc. (“Biotab”) is recalling of two lots of EXTENZE nutritional supplement tablets. Some packages bearing lot numbers 0709241 and 0509075 are counterfeit products containing undeclared drug ingredients that can pose a serious risk to health. Biotab learned about the problem after being notified by the Food and Drug Administration (FDA) that two lots of counterfeit product purporting to be EXTENZE contain undeclared drug ingredients. More specifically, lot 0709241 contains tadalafil and sildenafil, and lot 0509075 contains tadalafil and sibutramine. The counterfeit products are sold at retail nationwide in the form of carded four-packs (lot 0709241) and in the form of a box of thirty tablets divided into two fifteen tablet blister packs (lot 0509075). Tadalafil and sildenafil, drugs used to treat erectile dysfunction (ED), may interact with nitrates found in some prescription drugs (such as nitroglycerin) and may lower blood pressure to dangerous levels. Consumers with diabetes, high blood pressure, high cholesterol or heart disease often take nitrates. ED is a common problem in men with these conditions, and consumers may seek Extenze to enhance sexual performance. Sibutramine is a controlled substance that was withdrawn from the market in October 2010 for safety reasons. It is known to substantially increase blood pressure and/or pulse rate in some patients and may present a significant risk for patients with a history of coronary artery disease, congestive heart failure, arrhythmias or stroke. The counterfeit Extenze product is not manufactured, distributed or packaged by Biotab, but is falsely marked with the same lot numbers used by Biotab for its genuine product. Because it is very difficult to distinguish the counterfeit from the genuine product, Biotab decided to conduct this voluntary recall of the two affected lots. It is possible that there may be other counterfeit products on the market that have yet to be identified. Consumers in possession of product from the lots in question only should return any unused product to its immediate supplier for a direct refund. Customers with questions can call (626) 775-6334 Monday through Friday between 9 a.m. and 4 p.m. for further instructions or information with respect to the return and refund process. Additionally, Biotab will refund the supplier for any genuine (non-counterfeit) product returned to it. B.O.B. Trailers Inc. is recalling about 357,000 jogging strollers in the United States and Canada. A drawstring on the stroller can get wrapped around a child’s neck, posing a strangulation hazard. The firm has received one report of an 11-month-old girl who got entangled at the neck by the stroller’s drawstring. The child was freed by her mother. This recall involves the following 11 models of B.O.B.® single and double strollers. The name “B.O.B” appears on the cargo basket under the stroller and on the front of the stroller. All of the recalled strollers have a yellow/orange drawstring at the rear of the canopy which is used to gather loose fabric when the canopy is pulled back. Strollers have the serial number either stamped in the frame or on a white label located on the stroller’s rear right leg. The strollers were sold by REI, buy buy Baby and other stores nationwide and on the Web at Babiesrus.com, Target.com and Amazon.com between April 2002 and February 2011 for between $300 and $600. They were made in Taiwan and China. Consumers should immediately stop using the recalled strollers and remove the drawstring. If using a separately purchased Weather Shield or Sun Shield accessory with the recalled stroller, contact B.O.B. Trailers for a free canopy retrofit kit. Ford says it will recall about 144,000 F-150 pickup trucks in the United States and Canada from the 2005 and 2006 model years over a risk that airbags could deploy because of a short circuit. Ford said it had received a number of complaints about the problem, although it did not specify how many. It said that most of the inadvertent deployments came just a few seconds after the trucks were started. The National Highway Traffic Safety Administration (NHTSA) had not yet posted the recall at the time of Ford's announcement and it was not clear if there had been any injuries attributed to the problem. The company said it would notify customers of the recall in March. "Ford is aware of one customer that jumped from the vehicle after a deployment that occurred in a driveway," the company said in a statement. The F-150 is the top-selling vehicle in the United States despite a long history of safety-related problems, most notably the vehicle's unfortunate tendency to burst into flames when parked and unattended. Ford said that most of the vehicles with the flawed wire appeared to have been built at its Norfolk, Va., plant from November 2004 to June 2005. Lids can crack or break during use. Le Creuset is recalling about 1,800 glass lids. They can crack or break during use, posing a laceration hazard to consumers. Le Creuset has received five reports of lids breaking in use. No injuries have been reported. This recall involves Le Creuset glass lids sold after October 2010. The clear glass lids measure between about 9 inches (24 cm) and about 12 inches (30 cm) and have “Le Creuset” stamped on the metal handles. The affected models include: 24cm glass lid, 28cm glass lid, and 30cm glass lid (including 30cm glass lids sold as part of the Le Creuset Forged Hard-Anodized 30cm Shallow Casserole with Lid set.). Le Creuset and other retailers sold the lids nationwide from October 2010 through January 2011 for $20 for individual glass lids and $160 when part of a casserole set. They were made in China. Consumers should stop using these lids immediately and return them to Le Creuset for a full refund of the purchase price. Niles Audio Systems is recalling about 4,160 home entertainment remote control systems. If the battery falls from the remote control during handling, it can rupture and smoke or ignite, posing a fire hazard. The company has received four reports of batteries falling from the remote control system during handling; one of the batteries ignited and singed a carpet and the other three smoked. This recall involves the Niles iRemoteTS and iC2 remote control systems. These are wireless remote control devices that are designed to operate audio, video and home theater systems from a single remote control. The iRemoteTS measures 5.4 by 6.2 by 1.25 inches. The Niles logo is featured in the top-left corner of the unit. The iC2 measures 5.2 by 3 by 7.5 inches. “iC2” and the Niles logo are printed on the front of the unit. Authorized dealers and distributors of audio/video equipment sold the remotes between January 2008 and September 2010 for about $1,300 for the iRemoteTS and $1,000 for the iC2. They were made in China. Consumers should immediately stop using the recalled product and contact Niles Audio to schedule an in-home repair to receive a replacement battery and a more secure battery cover. Consumers should not attempt to open the battery compartment. Niles Audio is directly contacting consumers who purchased the recalled remote control systems. Upsher-Smith Laboratories Expands Voluntary Nationwide Recall. Upsher-Smith Laboratories, Inc., of Maple Grove, Minnesota is voluntarily expanding its previously announced recall of Jantoven® Warfarin Sodium, USP, 3-mg Tablets. The expanded recall now includes additional products that were packaged on the same packaging line between May 17, 2010 and November 17, 2010. The company is initiating the recall as a precautionary measure after a bottle labeled as Jantoven® Warfarin Sodium, USP, 3-mg Tablets was found by a retail pharmacy to contain tablets at a higher, 10-mg strength. The substitution of warfarin, or any other product, may lead to a change in the therapeutic effect of the intended drug. Because consistent, continuous dosing of any product is necessary for optimal care for many ill patients, patients should check with their health care provider regarding the appropriateness of their current therapy prior to making any change. The products affected were distributed to wholesalers, retail chains and independent pharmacies throughout the United States. The company is notifying its pharmacy customers and wholesalers, and arranging for the return of all recalled products. These products were packaged at the Upsher-Smith plant in Plymouth, Minnesota. Consumers and pharmacists can call 1-877-492-4791 for more information and to access product details, Monday-Friday between 8:00 a.m. and 5:00 p.m. (EST). No illnesses have been reported. People who have allergies to milk, wheat, soy or eggs run the risk of a serious or life-threatening allergic reaction if they consume these products. 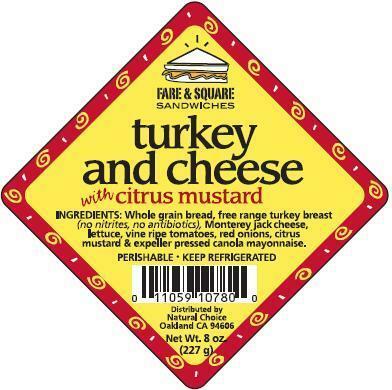 Fare and Square Sandwiches, Superfresh Sandwiches, and Real Wraps Burritos ready to eat sandwiches and wraps are distributed throughout California. The products affected are listed below. Natural Choice Distribution says it is taking this action to protect consumers who may be unaware that the ingredients contain the aforementioned allergens. The company is currently putting additional allergen labels on all of the affected products but there is a possibility of some products with undeclared allergen labels still out at retail stores or in consumers’ homes. 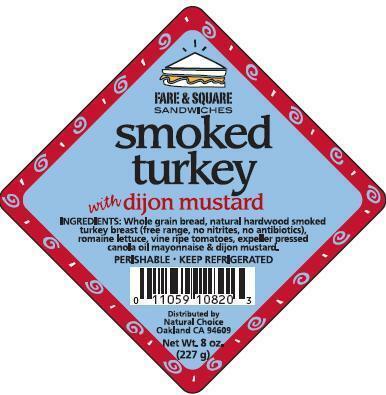 Consumers who have purchased these Fare and Square Sandwiches, Superfresh Sandwiches, and Real Wraps Burritos and are sensitive to these allergens are urged to return them to the place of purchase for full refund. Consumers with questions may contact Natural Choice Distribution Company Inc. at 1-510-653-8212 Monday through Friday between 8:00 am and 5:00 pm Pacific Standard Time. EB Brands is recalling about 28,000 sets of resistance stretch tubing sold under a variety of brand names. The handle on the tubing, also called bands, can break or detach while in use, causing the tubing or handle to strike the user and posing an injury hazard. There has beenone report of an incident involving a bone injury. This recall involves Everlast Resistance Stretch Tubing, Everlast Pilates Stretch Tubing, Sportline Resistance Stretch Tubing and Pineapple Pilates Stretch Tubing, used for exercise and stretching. The tubing comes in yellow, blue or black with black handles. The words "2404", "2001 EB Sport Group" and "Made in China" are molded on the handles. A list of affected lot numbers is available on the firm's website. Sporting goods retailers sold the bands, which were made in China, from March 2010 through December 2010 for between $13 and $25. Consumers should immediately stop using the recalled product and contact EB Brands for a free replacement product or a full refund. For additional information, contact EB Brands at (800) 624-5671 between 9 a.m. and 5 p.m. ET Monday through Friday, or visit the firm's website at www.ebbrands.com. Felt Bicycles is recalling about 1,5502011 Felt Adult bicycles. The bicycle's fork can break, causing the rider to lose control, fall and suffer injuries. The recall includes all 2011 Felt F3, F4, F5 and F75 bicycles with carbon fiber frames and carbon fiber forks. 2011 F3 - These bicycles are satin carbon/satin white with red decals. 2011 F4 - These bicycles are satin carbon/satin white with grey decals. 2011 F5 - These bicycles are satin carbon/satin red or matte black with diamond shape design. 2011 F75 - These bicycles are gloss navy. "Felt" is written across the down tube of the bicycle frame. Bicycle specialty stores nationwide sold the bikes from July 2010 through November 2010 for between about $1,400 and $5,000 per bicycle. They were made in China. Consumers should immediately stop using the recalled bicycles and contact their local Felt Bicycles dealer to receive a free inspection and repair. Upsher-Smith Laboratories and FDA are recalling one lot of Jantoven Warfarin Sodium, USP, 3mg Tablets -- an anticoagulant -- after a single bottle labeled as Jantoven Warfarin Sodium, USP, 3mg Tablets was found to contain tablets at a higher 10mg strength. To date, the company has identified no additional mislabeled bottles. The recalled lot is numbered as #284081, with an expiration date of September 2012. The product lot was distributed to wholesalers, retail chains and independent pharmacies throughout the United States. The primary risk of substituting 10mg warfarin for 3mg warfarin is overdosing more than 3 times the labeled amount which leads to excessive anticoagulation that could be expected to result in life-threatening hemorrhage in patients. The two Jantoven tablets can be readily identified by color: the 3mg tablet is tan and the 10mg tablet is white. In addition, the 3mg tablet is imprinted with the letters WRF, a line, and the number 3 below the line. The reverse side of the 3mg tablet carries the number 832. The 10mg tablet is imprinted with the letters WRF, a line, and the number 10 below the line. The reverse side of the 10mg tablet carries the number 832. Consumers and pharmacists can call the Upsher-Smith medical information line at 1-888-650-3789 for more information and to access product details, Monday-Friday between 8:00 a.m. and 5:00 p.m. (CST). American Honda Motor Co. is recalling 97,201 model year 2009-2010 Honda Fit vehicles. There is a potential for one or more of the four spring assemblies on the engine's variable valve timing and lift electronic control (VTEC) system to fail. A failure of the spring assemblies may cause the vehicle to stall during operation, increasing the risk of a crash. Dealers will inspect and replace the spring assemblies in the engine -- if necessary -- free of charge. The safety recall is expected to begin on or before March 7, 2011. Owners may contact Honda at 1-800-999-1009. A House Energy and Commerce Subcommittee hearing, designed to undo recent protections laid out in the Consumer Product Safety Improvement Act of 2008 (CPSIA) and to slash funding for the critical Consumer Product Safety Commission (CPSC), is a step in the wrong direction, Public Citizen said. “[Last Thursday's] hearing was merely an opportunity for industry to argue before Congress for the undoing of the massive improvements to consumer product safety that took place over the past three years,” said Christine Hines, Public Citizen’s consumer and civil justice counsel. Democrats disagreed. "The fact remains that the system we had in place was a failure, and this law was necessary to protect kids and families across the country," Rep. Henry Waxman, (C-CA) said. In 2008, Congress passed the bipartisan CPSIA, hoping to stem a perceived increase in the number of unsafe products on the market and the resulting record number of product recalls. Under the terms of the CPSIA, the commission has required toys and infant products to be tested before they are sold and banned lead and phthalates in children’s products. The new law also authorizes necessary funding for the CPSC and increases the level of civil penalties the agency can assess against violators of the law. But manufacturers and industry lobbyists now argue that the law went too far by establishing standards that are unnecessarily strict and requiring third-party testing that is a burden for smaller firms. That argument was echoed by Rep. Fred Upton (R-MI), who chairs the House Committee on Energy and Commerce. “While we have seen little evidence of improvement in children’s safety, there has already been an extreme impact on the children’s product market – particularly for small- and micro-sized businesses,” Upton said. The Commission has pushed off the day of reckoning for some businesses by postponing, again and again, the expensive requirements for third-party independent laboratory testing of children’s products. But not everyone agrees that inconvenience to business should outrank child safety. “Small toy shop owners say their businesses are being threatened by these legislations and that they are the victims of large toymakers using lead in products,” said trial lawyer Mark Bello, writing on the InjuryBoard.com blog. “Is third-party testing an extra layer of protection that is needed? Shouldn’t all parents be assured that their children’s toys are safe, regardless of who made or sold them? From a product safety standpoint, it doesn’t make a difference whether the toy comes from a local store or a national chain; a parent has the right to expect a safe product,” Bello said. The law also aims to increase transparency by building a publicly accessible database of consumer complaints about unsafe products. The database, which will be launched in less than a month, has been a recent target of industry attacks. “Pulling the plug on the database would be a huge mistake. If manufacturers are producing safe products, they have nothing to fear from this critical safety tool,” Hines said. Public demand for these protections remains very strong, Hines said. A recent Consumer Reports poll found that 95 percent of respondents agreed that the federal government should require testing by manufacturers of children’s products to ensure that they do not contain any harmful substances, and 93 percent of respondents agreed that the federal government should make consumer complaints about safety hazards with products available to the public. “This hearing is yet another attempt by the new House majority to roll back public protections and defund the agencies responsible for protecting our country’s health and well-being,” said Alex Chasick, regulations policy counsel for Public Citizen. “Agencies like the CPSC and the Food and Drug Administration exist to give Americans confidence that the products and food they buy will not sicken, injure, or kill them or their children. “The recent bipartisan health and safety laws are Congress’ promise to voters that they will work with agencies to protect Americans from unsafe products. We urge them not to break this promise,” Chasick said. The U.S. Consumer Product Safety Commission and Health Canada, in cooperation with Ariens, of Brillion, Wis., and Liquid Combustion Technology, LLC (LCT), of Travelers Rest, S.C., have announced a voluntary recall of about 1,800 Sno-Tek snow blowers. The snow blower's engine is missing a safety shield above the side mounted electric starter, posing a laceration hazard to consumer's fingers. No injuries or incidents have been reported. The recalled snow blowers have a LCT StormForce engine with "Sno-Tek" printed across a metal handlebar plate. Snow blowers with model numbers 920402 and 920403 and UPC codes 5105803094 and 5105803095 are included in this recall. Only snow blowers with engine model number PW1HK18650781DE-ABGOQUVE1M with serial numbers ranging from 1065H04008325A through 1065H04012104A are affected by this recall. The product model number and UPC codes are printed on a label attached to the outside of the gear box near the left wheel. The snow blowers were sold Home Depot and Ariens authorized dealers nationwide and HD.com in Canada from August 2010 through September 2010 for between about $700 and $800. For additional information, contact LCT at (800) 552-8094 between 9 a.m. and 5 p.m. ET Monday through Friday or visit the firm's Website. The U.S. Consumer Product Safety Commission (CPSC), in cooperation with James Perse has announced a voluntary recall of about 6,700 men's and women's jackets. The garments, imported from China by New Live of Los Angeles, Calif., fail to meet the federal flammability standard for wearing apparel -- posing a fire hazard to consumers. No incidents or injuries have been reported. 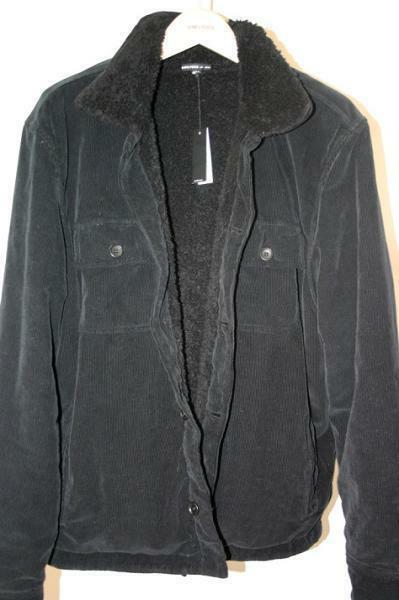 The men's jacket is corduroy and is fully lined with Sherpa fleece. It has a five-button front closure, two side pockets and two breast pockets. The style number is MV2156. 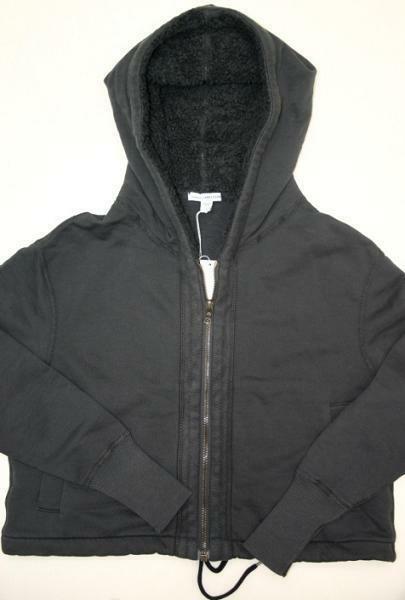 Two styles of women's jackets are subject to this recall. One is a zip-front jacket with two pockets, a hood lined with Sherpa fleece and a drawstring at the waist. The style number is WOY2443. 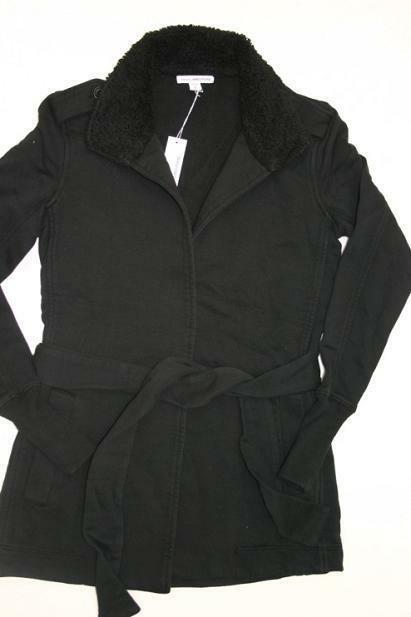 The other is a belted, wrap jacket with a Sherpa fleece-lined collar. It has two side pockets and wide knit cuffs at the wrist. The style number is WOY2444. Each jacket is made of 100 percent cotton and was manufactured in various colors. A label with the style number is located on the side seam of the inside of the jackets. The jackets were sold at Bloomingdales, Neiman Marcus, Nordstrom, Saks Fifth Avenue, Barneys of New York, and James Perse Boutiques from July 2010 to December 2010 for $225 to $350. Consumers should immediately stop wearing the recalled jackets and return them to the store where they were purchased for a full refund. For additional information, contact James Perse toll free at (800) 430-8559 between 9 a.m. and 5 p.m. PT Monday through Friday or visit the firm's Website. IKEA is recalling about 26,000 SNIGLAR cribs sold in the U.S. and Canada. The four bolts provided with some SNIGLAR cribs to secure the mattress support are not long enough. This can cause the mattress support to detach and collapse, creating a risk of entrapment and suffocation to a child in the crib. This recall involves SNIGLAR non-drop-side, full-size cribs with model number 60091931. SNIGLAR, IKEA and the model number are printed on a label attached to the mattress support. The crib frame and mattress support are made of natural/light-colored wood. IKEA stores sold the cribs nationwide from October 2005 through June 2010 for about $80. They were made in Romania. Consumers should stop using the crib immediately and check the crib. If the mattress support bolts extend through the nut, the bolts are the proper length and the crib is not included in the recall. If the bolt does not extend through the nut, the crib is included in the recall. Contact IKEA for a free repair kit for recalled cribs. In the meantime, find an alternate, safe sleep environment for the child, such as a bassinet, play yard or toddler bed depending on the child's age. 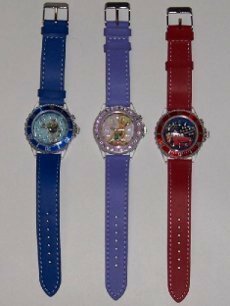 Walt Disney Parks and Resorts is recalling about 1,200 children's light-up watches. Watch battery current interacting with nickel in the watch’s stainless steel back can cause skin irritation and/or burning sensations to children who are allergic to nickel. The firm has received six reports of children receiving skin irritation or burning sensations while wearing the watch. This recall involves Buzz Lightyear, Tinker Bell and Lightning McQueen brand light-up watches. The Buzz Lightyear watch has a blue band with a blue outline on the face of the watch. The Tinker Bell watch has a purple band and purple crystals on the face of the watch. The Lightning McQueen watch has a red band and a red outline on the face of the watch. Each model watch is sold separately and is intended for children ages three years and older. All have a light up function that enables a child to press a button to illuminate colorful lights on the dial of the watch. A tracking code is engraved on the back of the watch, as well as printed on the back of the packaging. The tracking code is: K130-6377-7-10187. The watches were sold at DISNEYLAND Resort stores in California, WALT DISNEY WORLD Resort stores in Florida, The Treasure Ketch and Cast Member shops on the Disney Cruise Ship, and Disney’s Earport Shop and The Magic of Disney Shop located at the Orlando International Airport in Florida from November 2010 through January 2011 for about $30. Consumers should immediately take the recalled watch away from children and contact Walt Disney Parks and Resorts for instructions on returning the watch for a $40 refund. About 5,200Kristi G Go & Grow Chairs are being recalled. The chair can tip over, posing a fall hazard. SwimWays Corp. has received eight reports of the chairs tipping over. In two of the reports, children received scrapes on the face and hands. The recalled product is a lightweight, polyester chair for children three months and older, up to 75 pounds. The chairs include a detachable sun canopy, detachable tray, three-point harness, and a polyester carry bag. There are holes in the seat to allow for standing. The chairs differ in color scheme only as follows: model 80325 is brown with blue polka dots, 80326 is brown with green polka dots and 80327 is brown with pink polka dots. The model number is located on the box. The chairs were sold online via national mass merchandisers and retailers from March 2010 to January 2011 for $34.99 to $89.99. They were made in China. Consumers should immediately stop using the recalled product and contact SwimWays Corp. to receive reimbursement of the purchase price. Perfect Fitness is recalling about 7,000 Perfect Pullup devices. The plastic handle on the recalled product can crack posing a fall injury hazard for the user. Perfect Fitness received approximately 2,200 reports of cracking of the original handles, with 38 complaints of injuries that included bruises, strains and sprains. This recall involves Perfect Pullup, an adjustable height pull-up bar that is installed in a doorway with screw-in holders. The recalled handles have a rectangular shape, are silver colored with a red hook, and display the Perfect Pullup logo in white lettering across the top. The recalled models were manufactured between December 2007 and April 2008. The Perfect Pullup was sold by sporting goods stores nationwide, on their websites and on Amazon.com from January 2008 through present for about $90. It was made in China. Consumers should immediately stop using the recalled handles and contact Perfect Fitness to order a free handle replacement kit. Prime Choice Foods says it is taking the "precautionary measure" of recalling certain lots of Garden of Eatin’® Multi Grain Sea Salt Tortilla Chips (9 oz bags), Garden of Eatin’® Multi Grain Everything Tortilla Chips (9 oz bags) and Garden of Eatin’® Multi Grain Blues Sea Salt Tortilla Chips (9 oz bags) due to the presence of undeclared wheat and soy. Consumers who have an allergy or severe sensitivity to wheat or soy run the risk of serious or life-threatening allergic reaction if they consume these products. 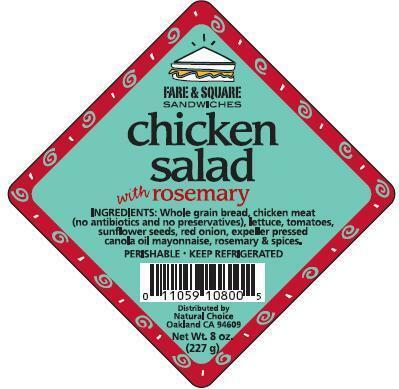 No illnesses or allergic reactions have been reported to date and no other Garden of Eatin’® products are involved in this recall. Consumers who have purchased any products covered by this recall are urged to return them to the store of purchase for a full refund. Consumers with questions or concerns please call 1-800-434-4246, during extended hours from Monday to Friday 9:00 am – 9:00 pm EST and on Saturday and Sunday from 10:00 am to 6:00 pm. Triad is recalling sterile lubricating jelly, warning that the product may not be sterile. The jelly may be contained in kits, packs, or trays that have been packaged after December 2010 by other firms, including brand names Allegiance, Select Medical Products, Novaplus, Triad, Triad Plus, IMCO, McKesson Medi-Pak Performance, Henry Schein. These products may not be sterile. Patients who are immuno-compromised, such as those with diabetes, cancer and certain other chronic diseases, may be at potential risk for infection. Triad lubricating jelly products were distributed by Triad from January, 2007 through December 2010. These products may be contained in kits, packs, or trays that have been packaged after December 2010 by other firms. The Burlington Basket Company is recalling about 500,000 bassinets. If the cross-bracing rails are not fully locked into position, the bassinets can collapse causing the infant to fall to the floor or fall within the bassinet and suffer injuries. Burlington Basket Company has received 10 reports of incidents in which the recalled bassinets collapsed when the folding legs were not locked into place. Two infants received minor injuries as a result of these collapses, including a bruise to the head and a bruised shoulder. This recall involves all Burlington Basket bassinets manufactured before June 2010. Affected models have folding legs attached to the basket with white plastic pins. Units with non-folding legs attached with metal pins are not included in this recall. The bassinets were sold by Walmart and other mass merchandisers, department stores and juvenile product stores nationwide and online by various Web retailers, including Amazon.com, from January 2003 through August 2010 for about $50. They were made in the United States. Consumers should immediately stop using the bassinets and check the cross-bracing support rails to make sure they are in the locked position. To properly lock the support rails into place, the end tabs must be fully inserted into the holes on the leg assembly and twisted one quarter turn into the locked position, as shown in the photos below. Consumers should contact Burlington Basket Company for a free kit with detailed instructions on proper assembly of the cross-bracing support rails and decals with assembly instructions to place on the bassinet. A video showing proper assembly of the bassinets is available is available at http://burlingtonbasket.org/BASSINETRECALL.aspx. This recall does not involve returning the bassinet. Atico International USA is recalling about 92,000 TrueLiving heater fans and portable quartz radiant heaters. These heaters have caught fire, posing a fire hazard to consumers. Atico has received eight reports of the A14B1053 Heater Fan overheating and 21 reports of the A14B0979 Quartz Heater overheating. Reports for the A14B1053 Heater Fan included one report of damage to an electrical outlet and wall and one report of flames coming out of the front of the unit. Reports for the A14B0979 Quartz Heater included damage to the heater's plug, one report of flames coming from a control knob and one report of a consumer receiving minor burns to the hand. For both products, reports included incidents of smoke and melting of the plastic casing. Dollar General Stores sold the heaters from September 2010 to December 2010. The heater fans sold for about $15 and the quartz radiant heater sold for about $42. They were made in China. Consumers should immediately stop using the recalled heaters and return them to any Dollar General Store for a full refund. LEM Products is recalling about 3,500 food dehydrators with digital timers. The screws that secure the motor to the back panel can come loose, causing the motor to fall on the heating element. This poses a fire hazard. LEM Products has received five reports of motors falling on the unit’s heating element resulting in smoke or fire contained in the unit. No injuries have been reported. This recall involves 5-tray and 10-tray LEM food dehydrators with serial numbers 2010 0701, 2010 0702, 2010 07021, 2010 0901, 2010 0902, 2010 1001 or 2010 1101. The dehydrators are gray and are made of plastic. The LEM logo is embossed on the top of the unit. The serial number is located on the label on the back panel. The last section of the UPC code found in the packaging reads “1009 1” for the 5-tray unit and “1010 7” for the 10-tray unit. The dehydrators were sold by mass merchandisers and retailers nationwide and online at www.lemproducts.com from August 2010 through December 2010 for about $160. They were made in China. Consumers should immediately stop using the recalled dehydrators and contact LEM Products to receive a free repair kit. General Motors is recalling more than 11,000 model year 2009-2010 Cadillac CTS sedans. Some of these vehicles have a condition in which a wax coating on the rear suspension toe link jam nuts may allow the nut(s) to loosen. If a nut sufficiently loosens, the toe link could separate and the rear wheel would be able to turn inboard or outboard. Owners may hear a metallic clanking noise coming from the rear of the vehicle that may warn of a loosening nut. Dealers will clean all wax residue from the rear suspension toe link and install two new jam nuts. If necessary the rear suspension toe link may be replaced. This service will be performed free of charge. GM has not yet provided an owner notification schedule. Owners may contact Cadillac at 1-866-982-2339 and at the owner center. OWNERS may also contact the National Highway Traffic Safety Administration's vehicle safety hotline at 1-888-327-4236 (TTY 1-800-424-9153), or online. The U.S. Consumer Product Safety Commission (CPSC), in cooperation with Nurses Choice Corp. of Wilmington, NC, has announced a voluntary recall of Newborn Keepsake Mittens. The mittens, made of white cotton, have candy cane, teddy bear and "2011" decorations glued on one side. The decorations can be pulled off, posing a choking hazard. The company has received one report of a decoration falling off a mitten, but has received no reports of any injuries. Consumers should stop using recalled products immediately unless otherwise instructed. It is illegal to resell or attempt to resell a recalled consumer product. The mittens, manufactured in the U.S., were distributed free by hospitals nationwide for to newborns from October 2010 to January 2011. Consumers should stop using the mittens immediately and contact Nurses Choice for a free replacement. For more information, contact Nurses Choice at (800) 747-7076 from Monday through Friday 9 a.m. to 5 p.m. ET, by e-mail to info@nurses-choice.com or visit the company's Website. Dorel Juvenile Group (DJG) is recalling more than 794,000 infant, convertible, and booster child restraint systems, which were sold both as stand alone seats or part of a travel system (with stroller). Child restraint systems included in this recall begin with model numbers 22077, 22078, 22148, 22149, 22150, 22152, 22154, 22155, 22158, 22159, 22172, 22177, 22178, 22185, 22188, 22195, 22356, 22371, 22372, 22412, 22439, 22452, 22453, 22456, 22458, 22459, 22462, 22465, 22469, 22476, 22486, 22546, 22547, 22553, 22554, 22561, 22564, 22567, 22574, 22580, 22657, 22740, 22741, 22755, 22758, 22759, 22790, 22799, 22880, 22560, 22346, 17439, 22449, 22475, AND IC072, manufactured from May 1, 2008, through April 30, 2009. The harness locking and release button does not always return to its locked position. A button that is not in the locked position can allow the harness adjustment strap to slip back through the adjuster as a child moves around in the seat and results in a loose harness. Thus, in the event of a vehicle crash, the child may not be protected adequately and is at an increased risk for injury. Registered owners will receive a free remedy kit consisting of a small tube of non-toxic, food-grade lubricant to be applied to the center front adjuster (CFA) to prevent sticking and allow it to engage the CFA strap properly. Instruction on how to apply the lubricant will be provided, along with a label to indicate that the repair has been completed. Non-registered owners should contact DJG at 1-866-623-3139 or by email at harnessadjustment@djgusa.com. Consumers will need the entire model number on the child restraint when contacting the manufacturer. Owners may also contact the National Highway Traffic Safety Administration's vehicle safety hotline at 1-888-327-4236 (TTY 1-800-424-9153), or go online. Fleetwood RV is recalling certain model year 2010 Fiesta class a motor homes. The headlights may have been incorrectly wired, resulting in reduced headlight illumination with the headlights on low beam. Inadequate illumination of the low-beam headlights may result in decreased driver's vision, as well as the vehicles' visibility to other drivers, increasing the risk of a crash. Dealers will inspect the headlight wiring and if necessary the headlight wires will be moved to the correct position on the headlight bulb socket connectors. This service will be performed free of charge. The safety recall is expected to begin during February 2011. Owners may contact Fleetwood relations at 1-800-509-3418. Owners may also contact the National Highway Traffic Safety Administration's vehicle safety hotline at 1-888-327-4236 (TTY 1-800-424-9153) or online. f’real® foods has announced a voluntary recall of f’real® Strawberry Banana Smoothies (Lot # 06/21/2012) produced at Smith Dairy Products Company in Orrville, Ohio. 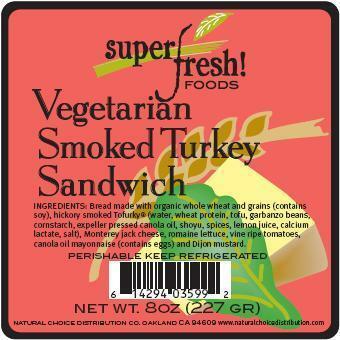 The company is recalling one specific lot as it may contain peanuts, an undeclared allergen. The product in question -- f’real® Strawberry Banana Smoothies – 10 FL OZ Container (16 FL OZ as Prepared), lot #: 06/21/2012 is time-stamped between: 10:45am and 11:19am and carries UPC:813993004494. The potential issue was discovered by the manufacturer while conducting flavor comparisons between lot numbers of smoothies. f’real® foods and Smith’s Dairy Products Company say they are removing this lot of product from the market out of an abundance of caution as people who have allergies to peanuts run the risk of serious or life-threatening allergic reaction if they consume this product. f’real® foods is notifying customers of the voluntary recall by phone and in writing. Consumers who have purchased the product listed above should return the container to the place of purchase for a refund. Consumers with questions may contact f’real® Customer Support at 1-877-367-7325 from 6 AM to 9 PM Central Standard Time or by e-mail at realpeople@freal.com. 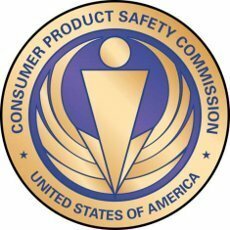 The U.S. Consumer Product Safety Commission (CPSC), in cooperation with Summer Infant Inc., of Woonsocket, R.I., is announcing the voluntary recall to provide new on product label and instructions for about 1.7 million video baby monitors with electrical cords. 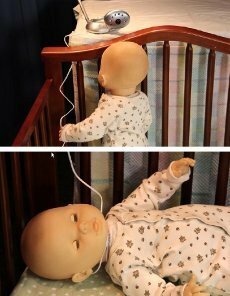 The cords can present a strangulation hazard to infants and toddlers if placed too close to a crib. Because of this serious strangulation risk, parents and caregivers should never place these and other corded cameras within three feet of a crib. Over the past year CPSC and the firm have received reports of two strangulation deaths of infants with the electrical cords of Summer Infant video baby monitors. In March 2010 a 10-month old girl from Washington, D.C. strangled in her crib in the electrical cord of a Summer Infant video monitor. The monitor camera had been placed on top of the crib rail. In November 2010 CPSC received a report of a six-month old boy from Conway, S.C., who strangled in the electrical cord of a baby monitor placed on the changing table attached to the crib. In January 2011 CPSC learned the product involved was a Summer Infant video baby monitor. CPSC and the firm are also aware of a near strangulation incident in which a 20-month old boy from Pittsburg, Pa. was found in his crib with the camera cord wrapped around his neck. The Summer Infant monitor camera was mounted on the wall, but the child was still able to reach the cord. He was freed from the cord without serious injury. Summer Infant has initiated a campaign to provide new on-product labels for electric cords and instructions to consumers with the recalled video monitors distributed between January 2003 and February 2011. The baby monitors were sold at major retailers, mass merchandisers, and juvenile products stores nationwide for between $60 and $300. They were sold in more than 40 different models, including handheld, digital, and color video monitors. All video monitors include both the camera (placed in the baby’s room) and the hand held device (some models have two hand-held devices) that enable the caregiver to see and/or hear the baby from a specific distance. The brand “Summer” is found on the product. The product was manufactured in China. CPSC and Summer Infant urge parents to immediately check the location of the video monitors, including cameras mounted on the wall, and all electric cords to make sure the cords are out of arm’s reach of their child. Consumers should contact Summer Infant toll-free at (800) 426-8627 between 8 a.m. and 5 p.m. ET Monday through Friday or visit the firm's website at www.summerinfant.com/ to receive a new permanent electric cord warning label about the strangulation risk and revised instructions about how to safely mount camera and keep cords out of child’s reach. In October 2010 CPSC issued a safety alert warning consumers that there had been six reports of strangulation in baby monitor cords since 2004. Since that alert the number of death reports has risen to seven. CPSC has revised the safety alert Infants Can Strangle in Baby Monitor Cords. About 58,000 rechargeable batteries sold with certain Slim and Secure Video Monitors are being recalled. The battery in the handheld video monitor can overheat and rupture, posing a burn hazard to consumers. Summer Infant has received five reports of ruptured batteries, including three incidents of minor property damage. No injuries were reported. The recall involves Summer Infant Slim and Secure handheld color video monitors with unmarked, MP and BK rechargeable batteries. The Video Monitor is sold in either silver and white, model #02800; or pink and white, model #02805. It has receiver and camera components. The receiver is approximately 4 ¼” tall and 2 ½” wide with a 2.5” LCD screen with the “Summer” logo printed in white on the bottom front. The camera is silver and white. Both the video monitor and receiver components come with A/C adapters but only the receiver unit contains a rechargeable battery. The batteries are unmarked or marked with letters MP or BK on the lower right corner of the battery. Batteries that are marked TCL are not included in this recall. Babies R Us sold the monitors from September 2009 to May 2010 for about $200. They were made in China. Consumers should immediately stop using the video baby monitors with the recalled batteries and contact Summer Infant to receive a postage paid envelope to return the defective battery in exchange for a free replacement battery. The monitor can continue to be used on AC power with power cord. James Smokehouse Inc., is conducting a voluntary recall of Scotch Reserve Whiskey & Honey Smoked Scottish Salmon 4-oz retails packs under Lot code:5797 & batch code: 4759 with UPC# 853729001151 due to potential contamination with Listeria Monocytogenes. Listeria monocytogenes is an organism that can cause serious and sometimes fatal infections in young children, frail or elderly people, and others with weakened immune systems. Although healthy individuals may suffer only short-term symptoms such as high fever, severe headaches, stiffness, nausea, abdominal pain and diarrhea, Listeria infections can cause miscarriages and stillbirths in pregnant women. NO Listeria illnesses have been linked to any product produced by St James Smokehouse. The problem was discovered after routine sampling by the Florida Department of Agriculture and Consumer Services in which one 4-oz package tested positive out of 3 packages sampled. The 600 lbs of product subject to recall were distributed and sold only in The Fresh Market stores located FL, NC, SC, TN, GA, VA,KY, AL, IN, IL, OH, LA, MD, AR, WI, MS, PA, MA, CT, NY. The code number (Lot code: 5797 & batch code: 4759 and UPC# 853729001151) is located on a white label on the rear of the package. This is the only batch & UPC# affected. St James Smokehouse says this is a precautionary measure and that it is working with working with the FDA. Hoover is recalling about 142,000 WindTunnel canister vacuums. The power cord between the power nozzle and the wand connector can short-circuit posing fire and shock hazards to consumers. This condition can occur even if the vacuum has been turned off but left plugged in. Hoover has received 69 reports of overheating or electrical malfunction, including one report of fire and smoke damage, and two reports of carpet damage. There has been one report of a minor injury. This recall involves the Hoover WindTunnel Bagless Canister Vacuum model S3755. The vacuum is silver and black in color, and comes with a power nozzle. The model number can be found on a label on the bottom of the canister. Mass merchandisers, department stores and independent vacuum retailers sold the vacuums nationwide and online from March 2003 to December 2008 for between $250 and $280. They were made in China. Consumers should immediately stop using the recalled vacuum cleaners and contact Hoover for a free repair. Short circuit can cause overheating. American Tack & Hardware Co. Inc. is recalling about 261,000 AmerTac LED night lights. An electrical short circuit in the night light can cause it to overheat and smolder or melt, which can burn consumers or result in fire. AmerTac has received 18 reports of the night lights smoking, burning, melting and/or charring, including three reports of minor property damage and one of a minor burn injury. Three night light models are being recalled: model numbers 71193, 71194 and 327879. Only those with KML molded on the back are being recalled. All three models have KML, ETL, the AmerTac™ logo and the model number molded on the back of the night lights’ plastic housing. Model number 71193 is a square shaped, white plastic unit with a flat translucent square window on the front and a button for changing the screen color. Model 71194 and 327879 resemble a computer mouse with white plastic housing and inset translucent windows on the front and sides. Hardware stores, lighting showrooms and home centers sold the lights nationwide from March 2009 through January 2011 for about $7. They were made in China. Consumers should stop using the recalled night lights immediately and unplug them from the wall. Contact the firm for instructions on receiving a full refund. For additional information, contact AmerTac at (800) 420-7511 between 8 a.m. and 5 p.m. CT Monday through Friday, or visit AmerTac's website at www.amertac.com. The front ski can break. Tech 4 Kids Inc. is recalling about 2,100 Outer Edge snow bikes. 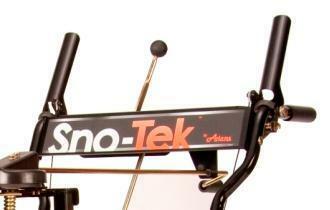 The front ski can crack or break, causing the snow bike to stop suddenly and posing a fall hazard to consumers. Tech 4 Kids has received three reports of consumers falling off the recalled snow bikes and sustaining injuries as a result of the defective front ski cracking or breaking. Injuries included a cut requiring stitches and a dislocated shoulder. The recall includes OUTER EDGE brand Snow MX-Ski-Doo® and the Snow MX-X Games™ snow bikes. The Snow MX-Ski-Doo snow bike is yellow and black with "Ski-Doo" printed on the steel frame and on the front ski. The Snow MX-X Games snow bike is blue and black with "Snow MX," a skull and swords printed on the steel frame and on the front ski. "OUTER EDGE" is printed on the snow bikes' packaging. Costco, sporting goods stores and other retailers sold the snow bikes nationwide and online at Amazon.com and Walmart.com from September 2010 through January 2011 for about $150. They were made in China. Consumers should immediately stop using the recalled snow bikes and return them to the store where purchased for a full refund. PD Sixty Distributor Inc. is recalling about 3,000 Creative Heating Solutions portable space heaters. The space heater can overheat due to loose electrical connections, posing a fire hazard to consumers. The firm has received one report of the heater overheating, resulting in the unit catching fire and causing minor property damage. No injuries have been reported. This recall involves Creative Heating Solutions brand portable space heaters with model number CH-750, CH-750FC, CH-1500 or CH-1500FC. The heater is wooden on three sides, with metal on the fourth side. The front of the heater includes a vent and a clear plastic faceplate with six black buttons. Some units have "Creative Heating Solutions" stamped into the rear metal panel and the model number on a white label on the rear metal panel. The heaters were sold by Hancock Fabrics stores nationwide and by America's Sewing Machine Company, of Augusta, Ga. through nationwide direct marketing from October 2008 through March 2009 for between $380 and $480. They were made in China. Consumers should immediately stop using this portable heater and contact PD Sixty for a free replacement heater. The firm has contacted all known purchasers of this product. Shuckman’s Fish Co. of Louisville, KY is updating its recall of its 8-ounce packages of Mooney’s Kentucky Bourbon Cheese and ValuMarket Beer Cheese Spread because they may contain undeclared soy and anchovy puree. People who have allergies to soy and fish run the risk of serious or life threatening allergic reaction if they consume these products. ValuMarket Beer Cheese Spread, 8 oz plastic container, Lot 91610 Sell by 11-16-2010, Lot 92810 Sell By 11-28-10, Lot 101810 Sell By 12-18-2010, Lot 102210 Sell By 12-22-10, Lot 111210 Sell By 01/12/11, Lot 112610 Sell By 01/26/11, Lot 121310 Sell By 03/13/11, Lot 011411 Sell By 04/14/11, Lot 011711 Sell By 04/17/2011; UPC 0 28260 12501 1. Products are sold to retail stores in Kentucky. The recall was initiated after it was discovered that the soy and anchovy puree containing products were distributed in packaging that did not reveal the presence of soy and anchovy puree. Subsequent investigation indicates the problem was caused by a temporary breakdown in the company’s production and packaging processes. Consumers who have purchased the products are urged to return them to the place of purchase for a full refund. Consumers with questions may contact the company at 1-502-775-6478 Monday through Friday 8:00a.m to 3:00p.m. (EST). Lasko Products Inc. is recalling about 107,500 Lasko portable electric heaters. An electrical connection in the base of the unit can overheat, causing it to melt and expose the electrical connection, posing a fire hazard to consumers. Lasko received a total of 36 reports of the electrical connection overheating with no reports of injury. There were 18 reports of minor burn damage to floors or carpets. The portable, electric, tower heaters are 20.5 inches tall x 8.25 inches wide x 9.25 inches deep. They are dark grey with silver front covers and black vent slats. The brand names Lasko or Air King are on the top, center of the front cover. The Lasko Model 5540 and Air King Model 8540 subject to this recall were manufactured in 2002 and have date codes that begin with a "2." The date code is on the label located on the bottom of the unit. The date code is a four-digit number on the bottom left area of the label, above the voltage number. Heaters with date codes beginning with "3," "4" or "5" are not subject to this recall. The Lasko Model 5540 was sold at Sam's Club and other retailers from September 2002 through early 2004 for $39 to $49. The Air King Model 8540 was sold primarily through the maintenance, repair and operating products supply company, W.W. Grainger Inc. from late 2002 to 2004 for approximately $80.00. They were made in China. Consumers should stop using the heaters immediately and contact Lasko to receive a free replacement heater. For additional information and pictures of affected models, visit Lasko's website at www.Laskoproducts.com, or call Lasko anytime, toll-free at (800) 363-8044. Escalade Sports is recalling about 4,600 outdoor playsets. The swing seats on the playsets can crack and break in half, causing the user to fall to the ground. Escalade Sports has received 24 reports of the seats breaking, but no injuries have been reported. Oasis distributors and dealers sold the playsets nationwide from April 2008 to December 2010 for between $1,500 and $2,200. They were made in China. Consumers should immediately stop using these swing seats and contact Escalade Sports for free replacement swing seats. Rouses Markets is recalling wild-caught yellow fin tuna steaks labeled as product of USA with a UPC Code beginning with 208732 sold at Rouses Markets with Sell By dates between December 1, 2010 and January 27, 2011. 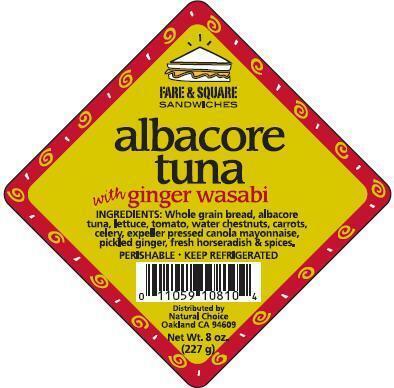 These previously frozen tuna steaks are being recalled because of potential elevated levels of histamine. This recall does not affect any other fish or seafood sold by Rouses Markets. High levels of histamine can produce an allergic reaction, called histamine fish poisoning or scrombroid fish poisoning, that may result in symptoms that generally appear within minutes to an hour after eating the affected fish. There have been two reported incidents by consumers. Rouses Markets believes these were isolated incidents, but says every precautionary measure should be taken when it comes to its customers’ health and safety. The following are the most common symptoms of histamine or scromboid fish poisoning: tingling or burning sensation in the mouth, facial swelling, rash, hives and itchy skin, nausea, vomiting or diarrhea; these symptoms usually resolve within several hours without medical intervention. However, each individual may experience symptoms differently; if symptoms are severe an individual may need to seek medical attention for treatment with antihistamines. If consumers have wild-caught yellow fin tuna steaks in their freezer with the indicated UPC code and Sell By dates, they may return the product to the store for a full refund. Consumers with questions may contact the company by calling 1-800-688-5998, Monday through Friday, 8 a.m. to 5 p.m., Central Time. The wild caught yellow fin tuna steaks were distributed to the two states where Rouses Markets operates: Louisiana and Mississippi. Rouses Market has removed the affected product from all seafood cases. Watson Pharmaceuticals, Inc. announced today the market recall of alcohol prep pads manufactured by Triad Group which is a component of a convenience kit that is distributed with its products. Triad Group is recalling the alcohol prep pads packaged with products, including Watson’s Trelstar® (triptorelin pamoate for injectable suspension) product, due to potential contamination of the pads with the bacteria, Bacillus cereus, which could result in life threatening infections, especially in at-risk populations, including immune suppressed and surgical patients. The Company emphasized that there is no potential contamination of the Trelstar product, the MIXJECT® system or components in the Trelstar packaging, other than the Triad alcohol prep pad. The Trelstar drug and the MIXJECT® system have not been affected in any way. Watson has ceased shipments of Trelstar packaging components that incorporate the Triad alcohol pad while it pursues options to remove or replace the prep pad. Convenience kits will not be available in Trelstar commercial packages until new convenience kits incorporating a replacement alcohol prep pad are available for distribution in March 2011. The Company also noted that it was cooperating fully with the FDA, and notifying its customers. Watson instructs customers to immediately discontinue the use of the Triad alcohol prep pad included in the Trelstar convenience kit and to appropriately dispose of the entire convenience kit. The Company also recommends customers use an alternative alcohol prep pad product that is not involved with this recall, or to use a sterile gauze pad in conjunction with isopropyl alcohol as an alternative. Both prep pads and gauze should be available at your local pharmacy. Ford is recalling certain 2011 Explorers because of a potential problem with reclining seats. The company said that Explorers manufactured from July 15-December 13, 2010 may have second-row reclining seats that fail to meet federal safety standards. In the event of a crash, the seat back may not provide the required strength, increasing the risk of injury. Ford will notify owners and dealers will repair the seats free of charge when the recall begins in mid-February. Owners may contract Ford at 1-866-436-7332 about Recall No. 11C15. American Spoon Foods is voluntarily recalling Apple Chipotle Salsa, Maple BBQ Grilling Sauce, and Pumpkin Chipotle Roasting Sauce. If you have trouble reading the code, err on the side of caution and discard the product. These products may contain undeclared wheat which may cause reactions in those with wheat or gluten sensitivities. What are the symptoms of illness/injury? Symptoms could be any typical food sensitivity reaction such as swelling of the face or lips, rash, difficulty breathing. It is important to note there have been no consumer complaints or reports of adverse reactions from using these products. Those with wheat and/or gluten sensitivities may be at risk from consuming these products. Although the undeclared wheat flour that may be present is in a very small quantity, those with wheat and/or gluten allergies or sensitivities could experience adverse health reactions. Consumers who feel they may be at risk should record the lot code for future reference and then discard the product. Consumers who experience a food sensitivity reaction after consuming the product should seek medical advice from their physician as appropriate. What does the product look like? These three products are sold in glass jars as shown below. The lot numbers can be found on the back of the jars. This product is sold in American Spoon Foods stores in Michigan and via mail order from American Spoon Foods. It is also sold through specialty food retailers in Arkansas, Florida, Illinois, Indiana, Massachusetts, Michigan, North Carolina, New Hampshire, New Jersey, New York, Utah, Washington, and Wisconsin. What is being done about the problem? American Spoon has suspended production and sales of these products. Retailers are being notified by letter and press release. Retailers and customers should contact American Spoon Foods Customer Service Department (800-222-5886) or email to info@spoon.com with any questions. How was the problem detected? This problem was identified by American Spoon Foods through an internal audit. Consumers and other potentially affected parties should contact American Spoon Foods, Justin Rashid 800-222-5886. Monday – Friday, 8:30 a.m. – 5:30 p.m.
Sunbeam Products Inc. is recalling about 5,700 convertible clothes irons. The iron can overheat and cause a fire because of a wiring issue, posing a risk of burn injury to consumers. Sunbeam has received 17 reports of irons overheating and three reports of irons catching on fire. No injuries have been reported. The recalled product is the Sunbeam Convertible Iron with a model number of GCSBRS - 103. It is a blue and gray, hand-held garment iron that converts to a garment steamer. 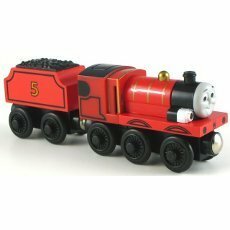 The model number can be found on the bottom of the iron's plastic base. The recalled irons have date codes C235 or C237 imprinted on the blade of the plug and on the bottom of the packaging. 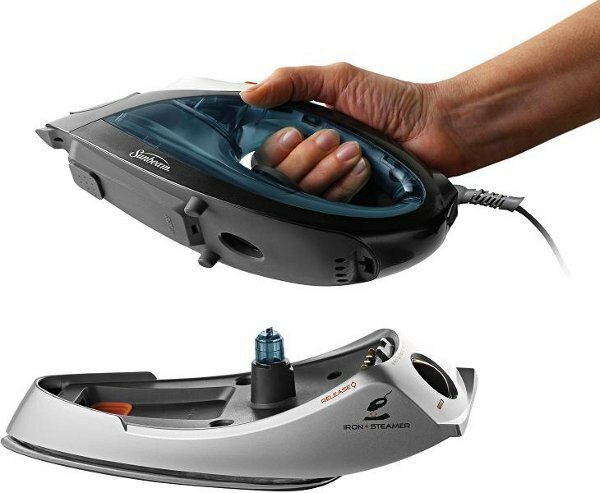 Consumers should immediately stop using the irons and contact Sunbeam for a free replacement. DeVilbiss Air Power Company is recalling about 460,000 air compressors sold under the Craftsman, Delta, DeVilbiss and Husky brand names. The air compressor motor can overheat, posing a fire hazard. DeVilbiss received nine reports of motors overheating, including three reports of fire damage to surrounding property. No injuries have been reported. DeVilbiss, Porter-Cable, Husky, and Delta Shopmaster brand compressors were sold at home centers nationwide from January 2003 through December 2004 for between $199 and $299. Craftsman-brand compressors were sold at Sears stores nationwide from September 2000 through December 2005 for between $199 and $229. They were made in the United States. Consumers should immediately stop using and unplug the recalled compressors and call DeVilbiss or Sears for a free inspection and repair. For additional information, consumers with DeVilbiss, Porter-Cable, Husky and Delta compressors should contact DeVilbiss toll-free at (866) 220-5627 between 8 a.m. and 5 p.m. ET, Monday through Friday, or visit the firm's website at www.porter-cable.com or www.devap.com. Magic Valley Fresh Frozen, Inc. of McAllen, TX, has announced it is voluntarily recalling 6,492 packages of frozen breaded okra because they may contain undeclared whey. People who have an allergy or severe sensitivity to milk run the risk of serious or life-threatening allergic reaction if they consume this product. The breaded okra was produced by Magic Valley Fresh Frozen, Inc. in McAllen, Texas and is sold in retail grocery stores throughout the United States under the Spartan or Shurfine label. The recalled product is packaged in a 16 ounce plastic bag, and will have the code MV29110O1 or MV23510P1 printed on the back of the package with UPC code 0 11213 35681 5 or 0 11161 13389 6. No illnesses have been reported, and no other Magic Valley Fresh Frozen, Inc. company products are involved in this recall. Retailers are removing the product from store shelves. Consumers can return the product to their place of purchase for a full refund. Consumers with questions can contact the company at 956-994-8947 (8:00am to 5:00pm Central Time). Briggs & Stratton is recalling about 50 of its model 40 V-Twin Engine. Wear on misrouted wiring may cause it to disconnect from the shut-off device, allowing the engine to continue running when the key is in the "OFF" position or when the operator gets off the seat while the mower is engaged, posing an injury hazard to consumers. 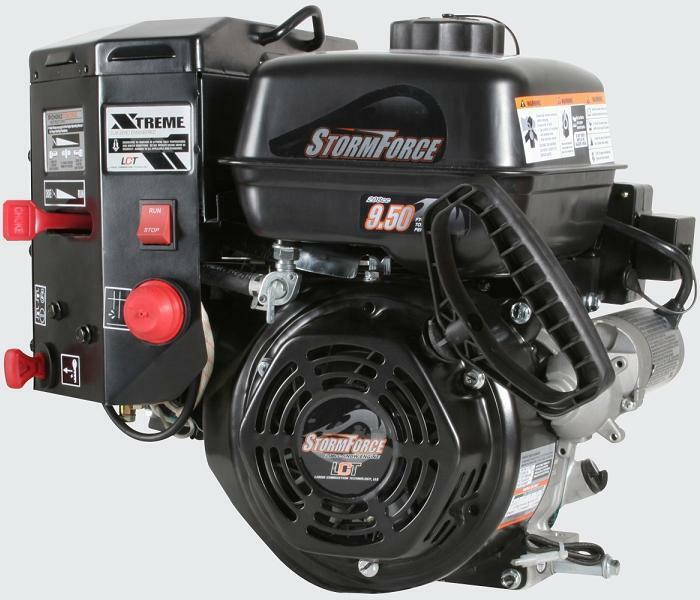 The recalled product is a Briggs & Stratton V-twin engine with the date code 100201Y. The engines can be found in the following lawn mowers: Craftsman, model 247:289810; Husqvarna, model 960460016; and Bad Boy, model BBM4826BS. The engine date code is bottom-most number located on the valve cover of the engine. The valve cover is located at the front of the engine near the oil dipstick. The mowers were sold by Sears, under the Craftsman brand; The Home Depot, under the Husqvarna brand; and Tractor Supply Company, under the Bad Boy brand. The mowers were sold in February 2010 and March 2010 for between $1,500 and $3,500. They were made in the United States. Consumers should immediately stop using the riding mowers and contact a Briggs & Stratton Authorized Dealer for free inspection and repair. Consumers with affected Craftsman and Husqvarna models were notified by letter from Sears and Briggs & Stratton. Tractor Supply Company has not notified the purchasers of the affected Bad Boy models. Sabor Farms, LLC. of Salinas, CA is recalling fresh cilantro because it has the potential to be contaminated with Salmonella. The cilantro was on store shelves in multiple states beginning January 14 and likely sold or removed from sale before January 28, 2011. There have been no illnesses reported. Symptoms of Salmonella infection include fever, abdominal cramps, and diarrhea which may be bloody. Most infected people recover within a week; however, some may develop complications that require hospitalization. Infants, the elderly, and people with weakened immune systems are at highest risk for more severe illness. People who develop symptoms of Salmonella infection after consuming cilantro should consult their health care provider. Consumers should be aware that the cilantro bunches do not contain identifying lot codes. Each bunch is sold with a distinctive, but general twist-tie for cilantro. Samples of the four relevant twist ties are pictured below. Queen Victoria label 16520142 / 16 10 22 and 16520132 / 16 10 22. No other brands or lots are affected. The Salmonella contamination was detected in a USDA Microbiology Data Program test of cilantro harvested by Sabor Farms. Sabor Farms has contacted the four companies that received potentially affected lots of cilantro and confirmed that no product remains in their inventories. No other cilantro sold and marketed by Sabor Farms or its customers is affected by this recall. Consumers who believe they have purchased the affected cilantro should not consume any of the product. Consumers who have concerns may contact Sabor Farms at (831) 970-9754 or by email at info@saborfarms.com . Sabor Farms says it has received no complaints, but chooses to proactively withdraw any cilantro and to notify the public as a precautionary measure.